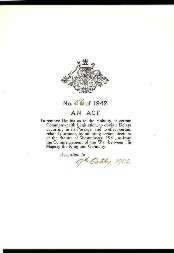 With this document Australia adopted an Act of the British Parliament which set out as law the independence of the governments of Australia, Canada, New Zealand, Eire and Newfoundland. These had become self-governing Dominions of Britain, rather than colonies, but what this meant constitutionally had never been made clear. Britain's Statute of Westminster, an Act of Parliament passed in December 1931, was the legal recognition of the evolved independence of the Dominions within the British Commonwealth. It defined the equal status of the Dominion Parliaments with the British Parliament, and established that the Dominions were under the authority of the Crown, and not the government, of Britain. In adopting provisions of the Statute, Australia ratified the free and equal status of its government in relation to the government of Britain. One effect was to remove the necessity of reserving certain Bills for the assent of the sovereign. Ten Bills, most related to shipping and navigation, had been reserved since 1901; nine had received the Royal Assent. This document was thus another step in a process of constitutional separation following those taken with the Treaty of Versailles in 1919 and the Balfour Declaration in 1926. The next step was the Australia Act in 1986. The Statute of Westminster 1931 resolved legal issues resulting from the greater international status and autonomy achieved by the Dominions in 1919 and in the resolutions of the Imperial Conferences of the 1920s. It was the first legal clarification of the status and relations of Britain and the Dominions of Australia, Canada, South Africa, New Zealand, Newfoundland and Eire. All had evolved from being colonies of Britain to being Dominions without a definition of the difference, or even a particular time or event at which the change had been made. 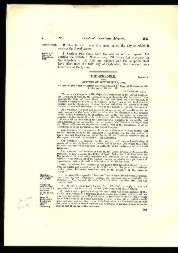 The Colonial Laws Validity Act of 1865 had defined local constitutional limits of the colonial parliaments, making their legislation subordinate to Acts of the British Parliament. 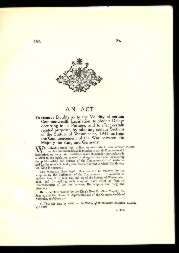 This 'doctrine of repugnancy' was terminated by Section 2 of the Statute of Westminster, while Section 4 required the request and consent of a Dominion before British legislation becomes part of Dominion law. The Statute enacted the agreement reached at the Imperial Conferences and uses the words of the Balfour Declaration to state the principle that the Crown was 'the symbol of the free association of the members of the British Commonwealth of Nations'. It took 11 years before Australia adopted the Statute of Westminster. There was opposition to this step, particularly the sustained and able challenges of John Latham, Leader of the Opposition in 1929–31 and a senior Minister in the Governments of Stanley M Bruce in the 1920s, and Joseph A Lyons in the 1930s. Latham was first involved in the issue of the evolving relationships of the Dominions and Britain when he was included in Australia's delegation to the 1918 Imperial War Conference to assist Joseph Cook, then Navy Minister. Latham was a member of the Australian delegation to the Paris Peace Conference the following year and was a delegate to the 1926 Imperial Conference in London which produced the Balfour Declaration. Latham was thus closely involved in each step of the process of defining Dominion status in international law, and while he agreed with the principles, he was consistently opposed to codifying them as written law. He preferred that issues of autonomy and Commonwealth relations should be dealt with 'within the family' of Commonwealth countries, rather than as written and binding provisions recognised in international law. The full membership of Australia, Canada, South Africa and New Zealand in the League of Nations after they signed the Treaty of Versailles meant this bridge had already been crossed. Though there were senior parliamentarians holding back, there were many others rushing forward. An immediate example of the effects of the formal changes provided by the Statute of Westminster was the nomination of Sir Isaac Isaacs to succeed Lord Stonehaven as Governor-General, by the Labor Government of James Scullin in 1930. The British government had sought a recommendation from the Australian government, according to the principle that Australia was autonomous and equal to Britain under the Crown. This was the principle affirmed in the Balfour Declaration but not yet passed into law. Scullin advised the British Prime Minister of the choice of Isaacs, then Chief Justice of the High Court. Not only was this the first time that an Australian government had made such a nomination, but King George V was strongly opposed to the choice of the Australian-born Isaacs. In a storm of controversy, the Imperial Conference in November 1930 confirmed that the procedure of recommendation by a Dominion Prime Minister should be followed. In a meeting with the King, Scullin stood by his choice and Isaacs was appointed, with King George V making clear his displeasure. Latham's view, that it was dangerous for a government to initiate the choice of the King's representative, was reinforced by the 1931 New South Wales constitutional crisis, when the State Governor, Sir Phillip Game, dismissed Premier Jack Lang, who had instructed State public servants not to implement a Commonwealth law, the Financial Agreement Enforcement Act. However, those who supported the right of a Dominion to make the nomination also felt validated, with Sir Isaac Isaacs earning respect for the manner in which he served as Australia's Governor-General from 1931 until 1936, when he retired at the age of 80. In 1934 Latham was Attorney-General in the Lyons Government and, in the following year, became Chief Justice of the High Court. By postponing Australia's ratification of the Statute, Latham achieved a delay for more than a decade under the provisions of the Statute itself. Section 4 requires the 'request and consent' of a Dominion before a law passed by the British Parliament will apply within the Dominion. Australia certainly 'requested' the Statute as indicated by the role of Prime Minister Billy Hughes at the 1926 Imperial Conference. However, the 'consent' of the Parliament was delayed under four Prime Ministers: James Scullin, Joseph Lyons, and the brief terms of Robert Menzies and Arthur Fadden. 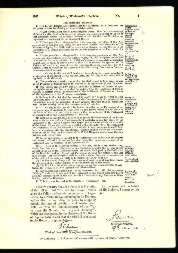 The Act finally was passed by the Government of John Curtin in 1942. 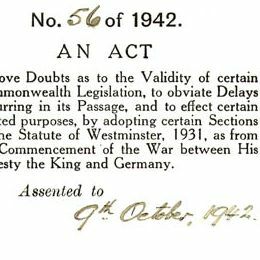 The Statute of Westminster Adoption Act came into operation on the day it was signed, 9 October 1942, but its provisions were made retrospective to 1939 'as from the Commencement of the War between His Majesty the King and Germany'. Garran, Robert, Prosper the Commonwealth, Angus and Robertson, Sydney, 1958. Latham, JG, Australia and the British Commonwealth, London, Macmillan, 1928. Lewis, David L, John Latham and the Statute of Westminster, Electronic Journal of Australian and New Zealand History. Wheare, KC, The Statute of Westminster and the Dominions, Oxford University Press, 1949. Detail from the cover of the Statute of Westminster Adoption Act 1942 (Cth).